The MoT is a hugely important safety check for your vehicle. Despite the government toying with the idea of extending the first test to four years after a vehicle’s first registration, the law currently requires one at three years. A new test is needed every year thereafter, although cars more than 40 years old are exempt from this. When it comes to the MoT it’s vital you go to a reputable garage, which will safeguard you against being ripped off by those that might create unnecessary work. HonestJohn.co.uk launched the Good Garage Guide to make it easy to find a trustworthy mechanic on your doorstep. You can save time and money by having the MoT and a service done together. 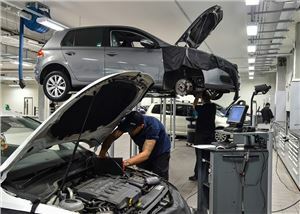 However, if your car is older and less likely to pass the test, it might be worth getting your MoT done a few months before a service, because it will prevent duplication of work; the areas covered by the MoT (bodywork, suspension, emissions etc) will not need to be looked at again during the service, which will save labour costs. 'Lamps, reflectors and electrical equipment' is the single biggest category for failure, accounting for almost a fifth. 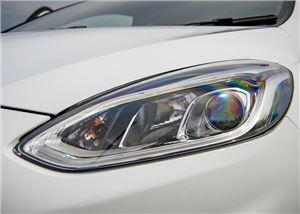 Many of these are headlight issues that could be cheaply fixed at home with a bulb replacement. Check all your lights are working, and check your lights are aligned by pointing them at a garage door or a wall at night. Replacing a tyre is rarely cheap, but it’ll cost even more if you fail an MoT because of it. Some tyres have tread wear indicators, but if not you can check it using a coin: insert the coin into the tread pattern of each tyre at its shallowest point, mark the coin, then measure. 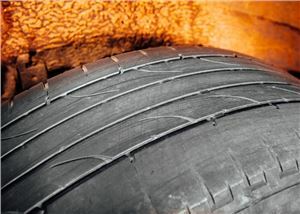 The minimum legal tread depth is 1.6mm. 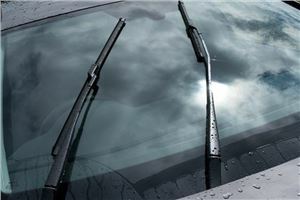 A cracked windscreen is fairly obvious, although look carefully for any stone chips in your line of sight that may have evaded you – they could still be big enough for a fail. And fill up your screen wash bottle – empty is an instant fail, yet so simple to fix and much more cheaply than a franchised dealer will do it for. Same goes for the wipers. It might not bother you that the blades smear dirt across the screen, but that’s a fail too. The proliferation of electronic parking brakes means the old handbrake adjustment is fast becoming a thing of the past, but in general it’s worth keeping an eye on so that a small problem doesn’t become a big one later: is your parking brake working first time, every time? With brakes, it should be easy to spot when things are going awry: spongy pedal feel, squeaky noises, a scraping sensation, or the car pulling to one side. You can check the brake fluid reservoir yourself (see handbook for details) or take your car to a trusted garage for a pre-MoT assessment. 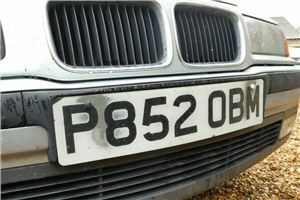 Some cars fail their MoT because the number plate is obscured, so clean it up for a start. Then make sure the letters and numbers are printed correctly, in an approved font and spaced legally – if yours is one of those plates that attempts to look like a name, prepare to fail your MoT. Lights are an issue too – like older headlamps, the bulbs illuminating your number plate are cheap and easy to replace yourself, generally. 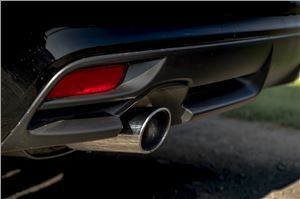 It should be fairly obvious if your exhaust is cracked – it’ll be noticeably louder, like it wouldn’t sound out of place in a McDonald’s car park at midnight. Beyond that, blue or black smoke from a diesel is a bad sign (and a failure) although quite often an excess of gasses that aren’t seen – carbon monoxide and hydrocarbons – can mean a fail. 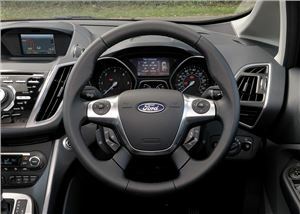 Like the brakes, the steering system isn’t really something you can fix yourself but will give you some tell-tale signs when it’s going wrong. If the car pulls in one direction, for example, or if it seems less direct than it once did – that could be a sign that the steering column is worn. Any knocking sounds from the column or unevenness (lumpiness) when you turn the wheel, they should be taken as signs that something is awry. 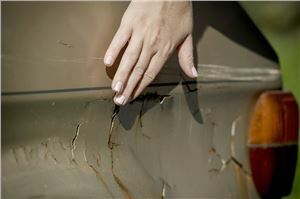 Cars are generally a lot more resistant to rust than they once were, but it’s still an issue – particularly for those cars regularly parked near the coast, or left standing for long periods of time. Surface rust isn’t necessarily a problem, but when rust eats through body work or is near key structural points – like the pillars – then it can be a failure. Is your MoT or Service due soon? 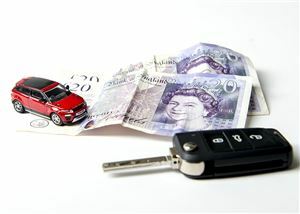 Make life simpler by getting quick quotes for your MoT from MyCarNeedsA.com. It’s easy just tell us what your car needs, we’ll email you quotes within minutes then all you have to do is choose the one that suits you best. The quotes will all be from pre-approved garages near you. Once you accept the your favourite quote your chosen garage will call you to book your car in at a convenient time. If your car needs some work done to pass the MoT why not get quotes for Servicing & MoT?